People who know me are super lucky when it comes to buying gifts. I have such specific hobbies that if you want to buy me something, all it takes is a kitchen gadget or a photography “toy” and I am happy. I figured that some of you might be looking for gift ideas for kitchen loving folks in your life, so I put together a list. Most of these items are things I have and love, others are items that I want really badly. (This may or may not be a hint to people in my life. Ahem. Readers, I invite you to forward this link on to people in your life who might otherwise buy you a useless or unwanted gift. Hints are nice, right? Let’s start with a big one, in case anyone wants to buy something amazing for a special someone in their lives. 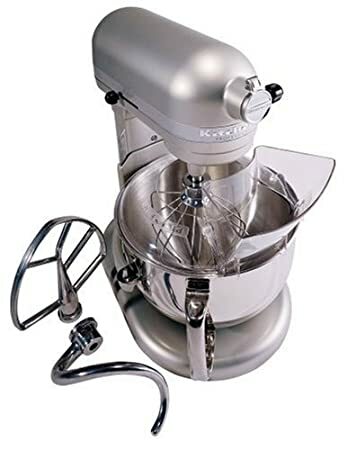 I know this is an expensive gift, but if you want to get a baking someone a present they will never forget, this is it. I like to say that if my house were burning down, my kitchen aid mixer is one of three things I would grab. (The other two? Simple, my iPhone and my camera. Assuming my 60 mm macro lens is attached already. Otherwise I need four things. Work with me here folks. Cookie scoops are the secret to perfectly round and evenly sized cookies. I divide most of my cookie making memories between my before cookie scoop days and my after cookie scoop days. If you don’t yet know how much I adore making things mini…shame on you! You obviously haven’t been paying attention! I made these adorable cookies and cream cupcakes in the mini muffin pan, I made mocha cheesecake in a mini muffin pan. Remember these Cappuccino Cookie Cups from Ami magazine? 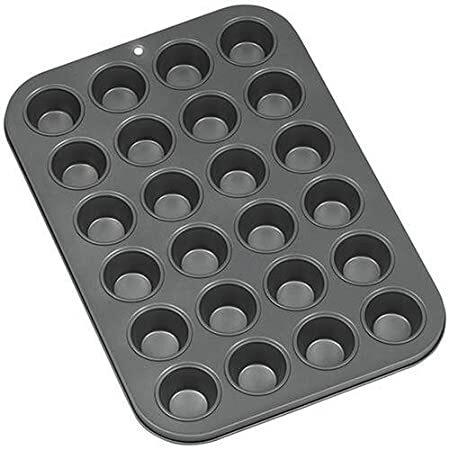 Well the secret to their success cuteness was a mini muffin pan. Do I sound overly enthusiastic? Well, maybe I am. But I pull mine out crazy often. Plus everyone knows that mini’s are too small to hold any calories. Um, are you sensing a pattern here yet? Yeah, so I have a mini addiction, but still, cakes just look cuter and more delicious in mini. Take these mini chocolate pomegranate bundt cakes. Adorable, right? And did you see the Red Velvet Mini Bundts I made for my latest party? You’re convinced, right? So I originally bought cookie cooling racks to avoid cookies getting soggy on the bottom (and that’s totally a good reason to buy them!) but I loved the added benefit of the stacked racks from Wilton, which make things so nice and orderly in the kitchen. (Or am I the only one who bakes too many cookies to fit on my counters? I have mentioned so many times how I simply adore bundt cakes. Why decorate a cake if the pan will do the work for you? A good quality pan is important though. My awesome sister C bought mine for my birthday a couple of years ago. Best. Present. Ever. As a baker, I never have enough measuring cups. But this isn’t a regular set of cups. It’s got something that I’ve wished for as long as I’ve been baking obsessively. If anyone wants to buy me a present, I want need this. Y’know how it’s annoying when you need to measure 3/4 of a cup of something? Or 2/3’s? Well this set has both of those! My candy thermometer opened up an entire world of candy making to me. I’ve had a ball since then. If you know of anyone who enjoys playing in the kitchen, candy making is totally for them! I’m somewhat obsessed with my panini press. I grill vegetables on mine, make sandwiches, toast bread, make quesadillas, seriously, I never run out of uses for this fabulous machine. I think immersion blenders are the unsung heroes of the kitchen. Blended soups are among my my favorite things to make and eat. And these soups are best made with a handy little stick blender. 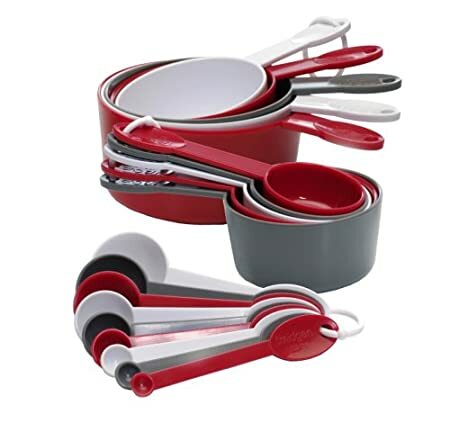 They’re also great for making dips, sauces, and other fun treats. Now, you knew there were gonna be some cookbooks on this list, right? Obviously, if I love cookbooks, all cooks and bakers do too. Duh. This book has been on my wishlist ever since my friend Leah from CookKosher.Com introduced me to it. It’s not really a cookbook, but rather an index of flavors that go well together. Say you have a nice looking vegetable on your counter, and you need inspiration for cooking it. Open the Flavor Bible and it will give you ideas of cooking methods and flavors that work with this. I don’t have this yet, so…ahem. I often say that if I had to live for the rest of my life with just one cookbook this would be the one. Yeah, so I might have a slight obsession with cookies. So what? Seriously though, this book is an encyclopedia of cookies for all occasions, of all types, and all flavors. 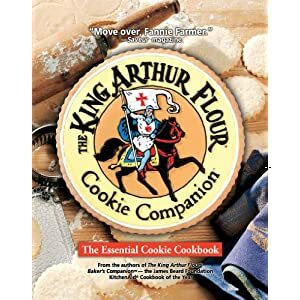 With all the amazing new cookie recipes constantly being made available, I still find myself turning back to this book for ideas and recipes. If you’re a kosher cook, you might be interested in one of the new kosher cookbooks, Kosher By Design Cooking Coach and CHIC made simple. But if you’re looking for a less recent favorite, I really enjoyed this cookbook, full of simple and easy family friendly recipes. If you’re looking for a fun dessert cookbook, this one is full of fabulous ideas. Perfect for the entertaining kinda sort. On the topic of fun dessert cookbooks, if you know someone who has a special love for cookie dough, this is the cookbook for them! I found it to be super creative and fun. 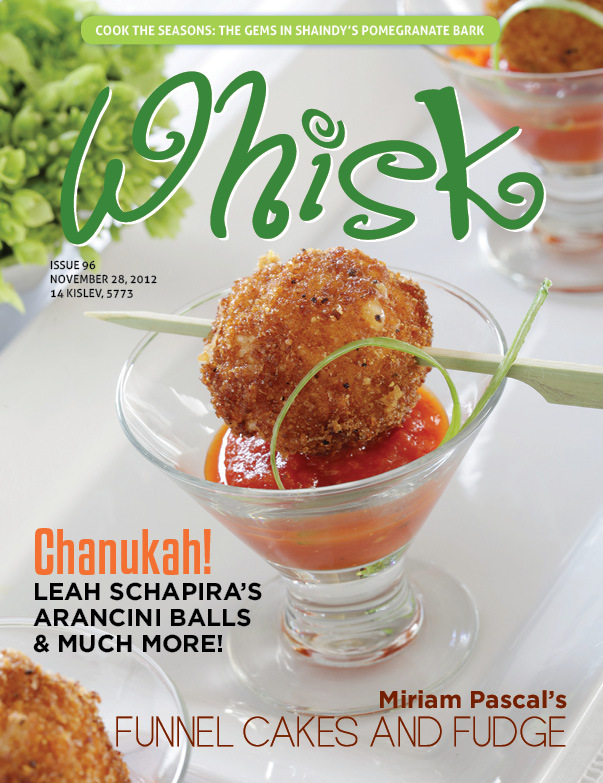 And one last idea for the kosher folks…consider a subscription to Ami magazine, and your lucky recipient will get to see the amazing monthly dessert column written and photographed by the one and only me. For the more techy folks, they have an E-magazine too! Readers, talk to me. What’s on your wishlist?? The Flavor Bible sounds amazing! Great post. Which thing is on the top of your wish list? I need a whisk. And a blender. And food processor. And measuring cups and spoons. And cookbooks. As I wrote in the article, I used a small cookie scoop. Will order that one! Thanks so much!! Thought you might like to know…. I’ve been waiting for those measuring cups/spoons to go down in price since you posted this… and I just ordered the new version for $9.99!